Dr. Daniel Weldon, his wife Elizabeth, their twin daughters, Georgia and MCall, and their son, Luke, live in Ocala. They are members of the First United Methodist Church of Ocala. In addition to spending time with his family, he also enjoys fishing and exercising. 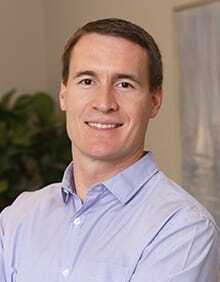 Dr. Weldon earned his bachelor degree in Biochemistry from the University of Florida. He then obtained his Doctor of Dental Medicine from the University of Florida College of Dentistry in 2008. Understanding that the dental education only begins in dental school, he has been continuing his education through the world-renowned Spear Education and completed their Implant Educators Comprehensive course in 2014. Dr. Weldon is former courtesy faculty in the Oral and Maxillofacial Surgery Student Clinic at the College of Dentistry. Dr. Weldon is a member of the Florida Dental Association, American Dental Association, American Academy of Dental Sleep Medicine, and is the past president of the Marion County Dental Association. He is a member of the Ocala Metropolitan Rotary Club, and an officer for the Andrew J. Semesco Foundation (ajsfoundation.org) which helps fund oral head and neck cancer research. He also volunteers his time at the Marion County Health Department doing dental work for the less fortunate in the community. Dr. Weldon is trained in all aspects of general dentistry including dental implants, cosmetic dentistry, and pediatric dentistry. He is also proficient in Spanish. Most recently, Dr. Weldon has become a master in the International Congress of Oral Implantologists. Weldon General & Cosmetic Dentistry is dedicated to providing superior implant dentistry.